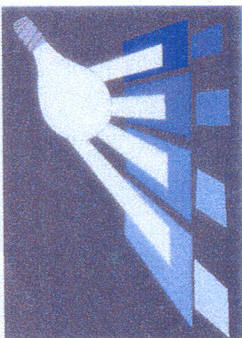 The spirit, Odilon Fernandes, in the book, "We Are All Mediums", refers to this kind of influence as a "mental mirror." He writes, "Being an interpreter of the spirit's thought, it is only natural that the message transmitted brings something from the medium, just as a mirror does when reflecting an image, according to its possibilities and conditions. A dull or broken mirror, obviously, will reflect distorted images, although the object remains correct. Therefore, the medium's mental mirror is of fundamental importance, in the process of intellectual communications." The important point to understand, with respect to the intellectual influence of the medium, relates to the way in which the medium's mind serves as a kind of "toolbox" for the spirit who desires to communicate. Kardec writes, "Spirits derive not ideas, but the material necessary for expressing their ideas, from the medium's brain; consequently, the richer the brain is in materials, the easer it is for them to communicate through its processor." These necessary materials refer to the knowledge of the medium on a given topic, his skills in a style of expression, his writing abilities (if a written communication), and even, if such be the need, his knowledge of a particular language¹. Such intellect and abilities may be possessions of the medium in the present life, or they may be latent acquisitions derived from a previous existence. "Through a medium whose intelligence has been sufficiently developed by the experiences of present and anterior lives, we are able to flash our thought, instantaneously, from our soul to his, by a faculty inherent in the very nature of the soul. We are able to do this, in such a case, because we find, in the medium's brain, the elements fitted to give to our thought its appropriate clothing of words, whether the medium be intuitive, semi-mechanical, or purely mechanical. Thus, whatever may be the diversity of the spirits who communicate through a given medium, the communications obtained by him, though proceeding from various spirits, usually present a characteristic peculiarity of form and color due to his own personal individuality. Although the thought transmitted may be entirely foreign to him, although the subject treated of may be beyond his usual range of ideas, and although what he says may not have proceeded in any way from his own mind, the form of our communication will, nevertheless, be modified by the influence of the qualities and properties which constitute his own personal individuality. It is precisely as when you look at landscapes or other objects through colored spectacles, whether green, white, blue, or red; though the landscapes or other objects thus seen are altogether different from one another, they all assume, nevertheless, a uniform tint imparted to them by the color of the glass through which you see them. We are the light, lighting up those landscapes or other objects, moral or philosophical, through glasses of various colors, so that our luminous rays (forced as they are to pass through media more or less colorless and translucent, that is to say through mediums more or less intelligent and manageable) cannot reach the object we desire to light up, without borrowing the tint, that is to say, the peculiar personal form of the medium. Let me illustrate my meaning by yet another comparison. We, spirits, are like musicians who wish to play an air of our composing, and who may have, at hand, either a piano, a harp, a violin, a bassoon, or a flute. It is evident that we might execute our air on any of these instruments, and that it would be understood by our listeners, regardless of the instrument used; although the various instruments differ greatly in the quality of the sound they emit, our composition, on whichever instrument we played it, would be identical, except in the special quality of the tone derived from the nature of the instrument employed. But if we had at our disposal only a penny whistle, we should find it very much more difficult to execute our air so that our audience could comprehend it. In the same way, when we are obliged to make use of un-developed mediums, our work is much more complicated, difficult, and tedious, because, in such a case, we are forced to employ inadequate means; and because we are then compelled, so to speak, to set up our thoughts, as if setting them into type, communicating them, not only word by word, but also letter by letter, which is tiresome and fatiguing for us, and constitutes a restraint on the rapidity and completeness of our manifestations." ¹ Keep in mind that spirits communicate to one another via thought and need no language, yet as humans we still need letters and words to understand a thought.